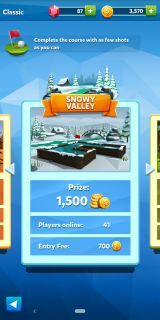 I’m not an avid mobile gamer but I’ll go on a limb and say I’ve never played anything as addictive as Golf Battle. 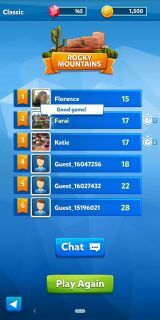 Yes, I didn’t like Candy Crush, so maybe that doesn’t count for much but the simplicity and competitive nature of Golf Battle hasn’t been rivalled by many other mobile games for me. 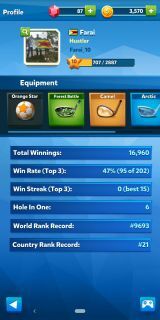 I usually prefer to play games on a console and PC but Golf Battle is among the few mobile games that change my mind about mobile games. My beef with most mobile games is with the controls. A touch screen is great for input but when it comes to games it just doesn’t stack up all that well. 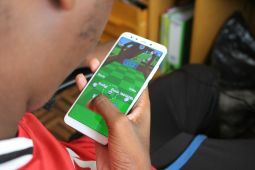 Apart from not giving you the feedback that physical buttons would usually do, the touchscreen controls on most mobile games end up covering the action which is quite irritating. 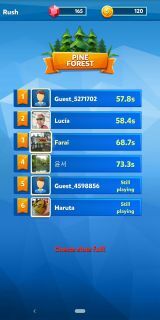 The fact that Golf Battle doesn’t commit any of those offences results in it being solidly in my good books. 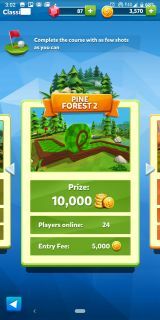 So before we go any further, Golf Battle is an online multiplayer. This means if you don’t have an internet connection you can’t play. This might chase some of you away but if you don’t mind that then be prepared to thoroughly enjoy yourself. 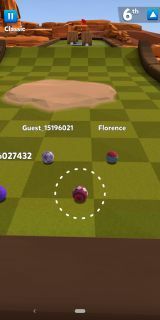 The game is pretty simple to learn and involves 6 players flicking around golf balls. It’s basically golf but with your hands. Swiping left or right will reposition the camera and pulling back on the golf ball will allow you hit the ball. 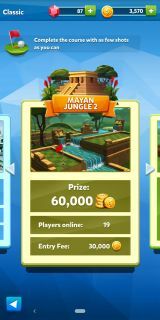 There are two respective game modes; Rush and Classic. Both of them are pretty addictive but I prefer Classic. 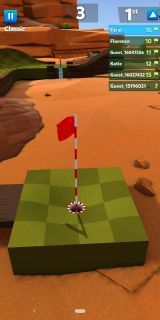 In this game mode, you are essentially following the normal rules of golf. The person to get the ball in the hole within the fewest number of shots wins. If there’s a tie, that stalemate will be broken by time. Whoever finished the course quickest wins the round. Speaking of being quick, in the rush game mode opponents are racing to get the ball in the hole and whoever completes the course quickest wins, regardless of the number of shots it’s taken. There’s also a healthy variety of courses with varying levels of difficulty and overall the fact that you playing against other people means that the difficulty level is consistently high and you never have to deal with spiking difficulty curves which come with offline games that have difficulty settings that you manually adjust. Either you bring your A-game or you lose. The in-game mechanics are pretty simple and straight forward but once you start playing you’ll have a hard time putting this one down. I started playing it on Thursday and there hasn’t been a day I haven’t played since. 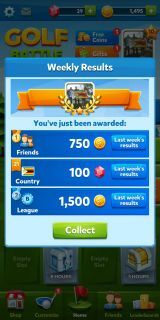 Right now I’m 25th in the latest Zimbabwean rankings and I won’t rest till I’m in the top 10. The reason why Golf Battle makes sense to me is that it doesn’t try to be a console game. We’ve seen Fortnite and PUBG come to mobile and though some people thoroughly enjoy those games, I can never get to enjoy them because of the controls and the fact that I know there’s a better experience to be had if I played either on console. 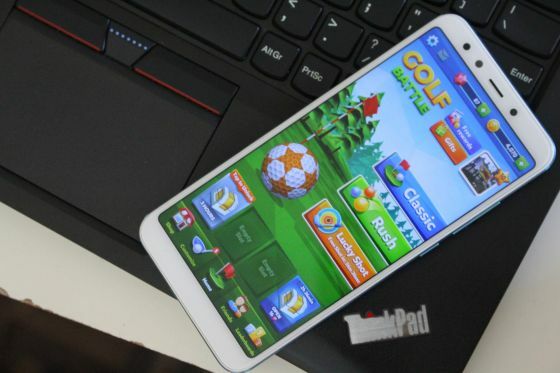 Golf Battle keeps it simple and plays to the strengths offered by mobile. 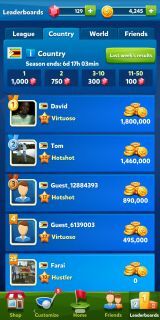 The post Review: Golf Battle Is An Insanely Addictive Online Mobile Multiplayer Game appeared first on Techzim.